The Formula 1 Lady Steel & Ceramic Pavée reprises the distinctive aesthetic of the Formula 1 collection, one of TAG Heuer's most instantly recognisable lines. Ceramic and diamonds, the ultimate symbols of eternity, strike a precious equilibrium. The 37 mm case makes a bold but no less feminine statement. 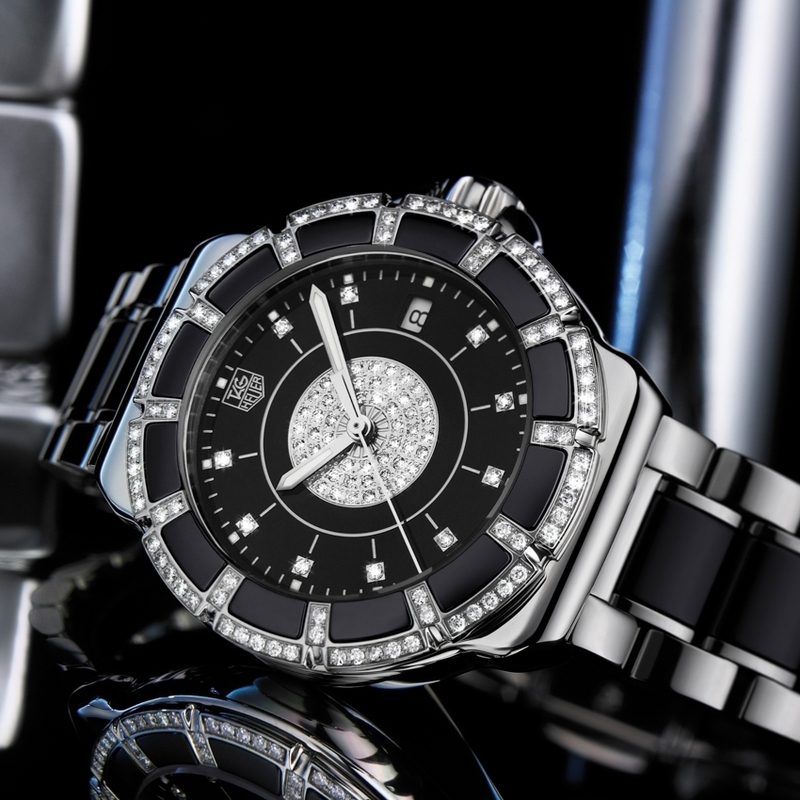 The sparkle of the 84 Wesselton diamonds that circle the bezel is heightened by the contrast of black ceramic inserts which create the impression of a flower in full bloom. The stunningly feminine bracelet confirms this delicate balance between technical prowess, comfort and glamour. 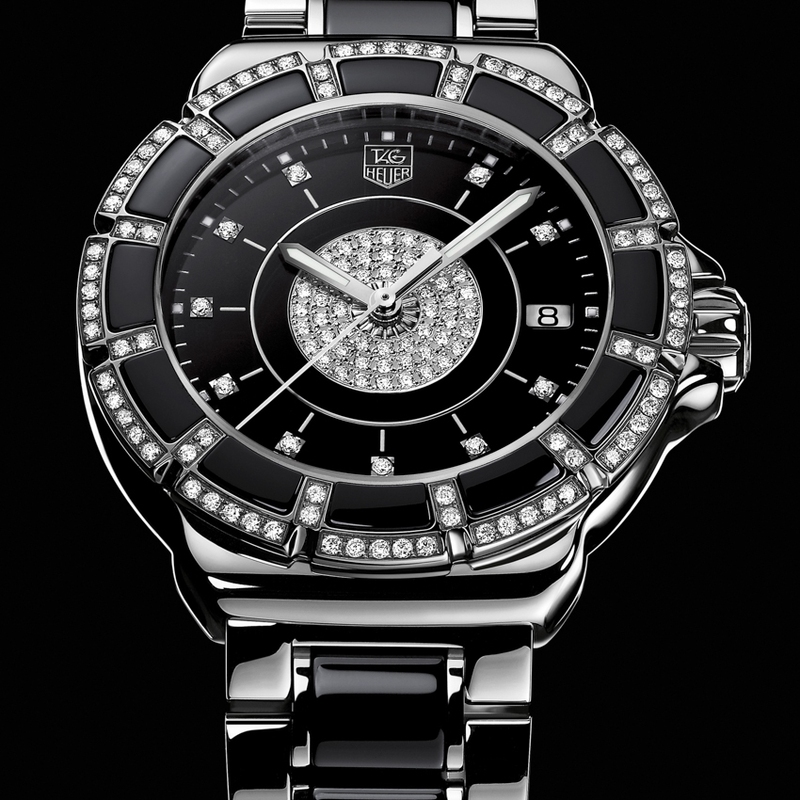 The result is a timepiece with the sobriety, seduction and sheer sexiness that women adore.